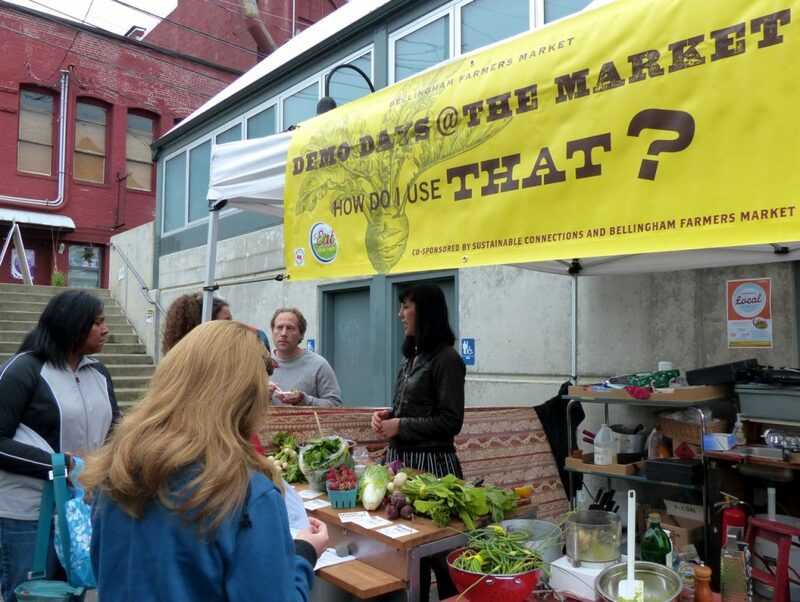 Demo Days is a collaboration between the Bellingham Farmers Market and Sustainable Connections. Demo Days showcase simple ways to prepare seasonal produce and help answer questions for shoppers in preparing and storing fresh foods at home. Join us the 2nd Saturday of each month from May to October, at Depot Market Square. We’ll be demo-ing how to cook, chop, prep, preserve, and use tons of local and in-season fruits and veggies.